Peek and explore in the forest! You'll meet all sorts of animal friends. 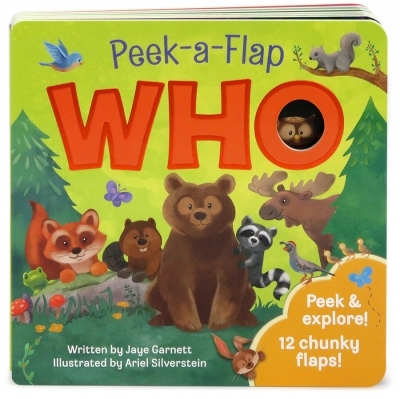 Each scene features a pair of lift-a-flaps with peek-a-boo surprises. Inside the flaps, you'll find fun facts about the animals in the artwork. So awesome for children to learn about animals, read, and have fun!